While a standard shingle roof can last for up to 20 years, sometimes the forces of Mother Nature can reduce the intended lifespan of your shingles. Damages over time–from wind, weight of snow, or falling objects like tree branches–could all reduce the quality and performance of your roof. And when damages are extensive enough, a roof replacement may be your best option. If homeowners stay on top of roof maintenance, then small-scale roof repair options can save time and money. However, for larger-scale roof problems, the best option may be to replace the roof completely. With a roof replacement, you can count on a safe, dry, and secure household to last you two decades or more. Plus, a new-looking roof adds curb appeal top your home, which will pay off when eventually you sell your home. 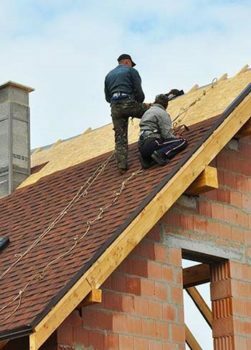 As roofing contractor servicing Washougal and elsewhere with a sterling reputation for quality service, Ridgeline Roofing puts precision and craftsmanship into every job we do. 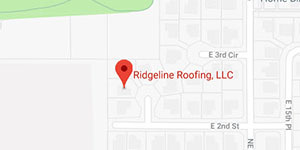 At Ridgeline Roofing, we understand how alarming it can be to discover a roof malfunction, whether it’s a cave-in or a few leaks here and there. That’s why we specialize in prompt, friendly roof repair service backed by our commitment to honesty and integrity in all aspects of our business. Stripping off the roof: Removing old shingles is the first and most obvious step for replacing a roof. Then comes replacing any deteriorating plywood that may be the result of poor ventilation. Improving Ventilation: In the process of replacing your roof, we can make the necessary improvements to your ventilation. Installing Ice and Water Shields: We lay out the best quality of ice and water shields on new plywood to prevent any moisture buildup. Call us anytime to request a free estimate! Homeowners should maintain their roofs and check for missing or damaged shingles, even if they are meant to withstand the elements. After all, the roof is the most basic necessity of your house.